The goal of this article is to have a working JPA2 layer on top of a data model by writting 0 (yes ZERO) lines of code. Lazuly-db is a opensource database hosted on googlecode that represents the structure of a database holding conference related informations. This article explains the different steps to quickly have a working JPA2 backend. 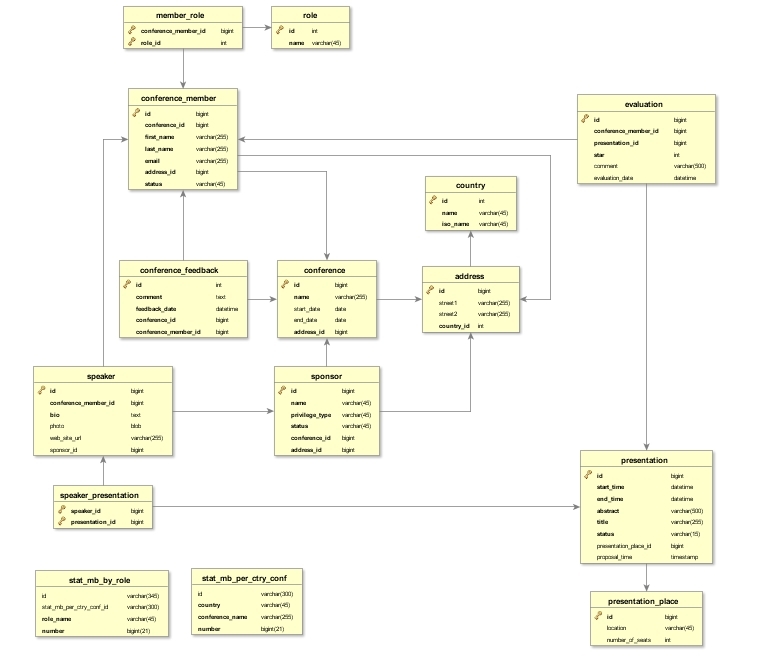 It is furthermore a tutorial on how to enrich the database model to get customized artifacts providing specific behaviour. shorten drastically the time to market of the product. Minuteproject acts as a Productivity provider targeting multiple aspects of the reverse-engineering for a target architecture (here JPA2). It allows the developer to achieve 'reproductability' that is a great complement of reusability. Reusability allows to bundle common behavior into a package/framework/specification in order to use them but not to code them. Reproductability allows to reach the same quality of artifacts (config/classes...) matching a target architecture (reused) although the context changes (DB model). JPA2 is a JEE specification for persisting objects in a database. This file holds the information regarding the model and how to enrich it. It also specifies the target bundle of templates for a technology track. Entity (views) enrichment by providing them a primary key (create a unique key) by adding foreignkey. The target part of the configuration specifies against which target technology, MinuteProject has to generate. Here the track is JPA2, where it is specified to use querydsl 2.1.2 and a JPA vendor implementation Hibernate. Those indications are used to generate pom.xml and persistence.xml files. Download and install minuteproject 0.5.5 or higher. Minuteproject is installed in MP_HOME. This alternative generation works fine to give a first glance at what you can have as output. A better enrichment is available via the xml config as previously described. You can note that the field 'abstract' in the table 'presentation' is converted to 'abstractName' to avoid compilation error. This is true for all the java reserved keywords. The getter and setter are adapted accordingly. You can note the 'equals (string s)' method which is quite handy. You can note the enrichment performed is translated into different Java and DB naming conventions for the entity itself as well as its dependencies. Now you can use the view for all the JPA2 select operations. It generates the lazuly backend jar containing the entities, the metamodel and the querydsl classes.